It’s time to maximize your precious lunch hour. 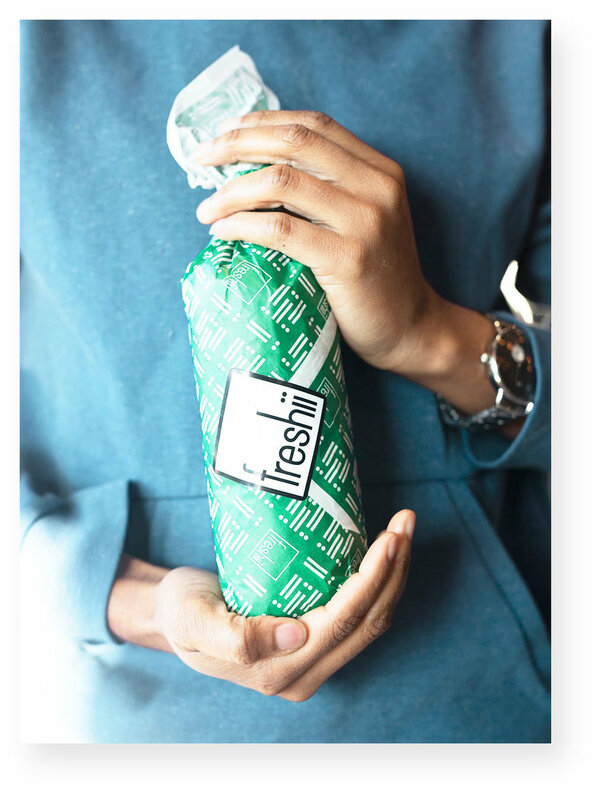 We've partnered with our healthy neighbors, Freshii to make your lunchtime workout even more convenient. Fill out the form below to order your lunch ahead of time and we'll have it ready for you after class. Freshen up with our bathroom amenities and you'll be back to work with lunch in hand! After class your lunch will be waiting for you at our reception desk! Your account will be not be charged until after class, using your current credit card on file. You’ll be emailed an itemized receipt. Enter the date of the express lunch class that you're ordering this for. Enter the name of the salad, wrap, bowl, burrito or soup that you'd like to order. Also include what kind of protein, if any, that you want. If you're wanting to create a custom entrée, please include the type of entrée (salad, wrap, etc.) as well as all the ingredients you'd like in it. Some selections incur additional costs. Please read the following terms and conditions for our Lunch Box Special. After you've read through them, please check the box saying you agree to the terms. I authorize Joywheel to charge my account for this lunch order, using my current card on file. I also understand that I must call Joywheel by 11am if I wish to cancel my lunch order. If I do not cancel, I understand that I will still be charged for lunch. Your lunch order has been received! Your account will be not be charged until after class, using your current credit card on file. All lunch orders receive a 10% Freshii Fit discount, minus a 3% convenience fee. You will receive an itemized email receipt with the final total. © 2019 Joywheel Cycling Studio, LLC. All Rights Reserved.